Appalled would be the correct word to describe how I felt. Appalled that people could not only be so ignorant and misinformed but also so hurtful to someone they don’t even know. An interview with Lee Ann later described her fitness journey: This is her third pregnancy. She has been an avid crossfitter for a number of years and she was cleared by the doctor to continue any exercises that she had participated in prior to pregnancy with modifications as needed. Lee Ann said, “this is the way I’m able to maintain my sanity. My sense of normal.” Because, let’s face it, it’s not everyday that you grow a human. After I finished feeling appalled, I felt angry. So people were really going to troll this woman and berate her for her own personal fitness choices, but not say anything about the people eating 15 double cheeseburgers at McDonalds? They’re going to assassinate her character for wanting to stay in a good physical condition? Seriously? And again, I was shocked hours later when I saw that people had been attacking this woman. Accusing her of “fat-shaming” and “bullying”. They called her all kinds of derogatory names. They attacked her character. For the second time in less than a month, I was appalled. I was angry. Really angry. I felt terrible for Maria Kang. All she was trying to do was motivate people and now these ridiculous people were taking shots at her as a mom, a wife, a person. A HUMAN. In case you didn’t see it, the left is me a year ago at 175 pounds. The right is me today at 175 pounds. The only difference is how I eat and how I exercise. Why did I post it?Because I was obsessed with the scale and a lot of my friends are, too. And I wanted to show them (and myself) that the freakin’ scale doesn’t matter. The scale can’t show me how hard I work, how much I’m loved, how much muscle I’ve gained, how much confidence I have, or what a good person I am. The scale is so limited in what it can do that it can only show me my relationship with gravity. And then the trolls showed up. People started sharing my photo calling ME names. Saying that my only goal was to diminish other people’s self esteem. That I should “put some clothes on because I’m not as hot as I think I am”. These people literally are going out of their way to shame people who make changes with their lives. This time, I’m not appalled. I’m not even angry. I’m sad because if these fitness-shamers spend half the time they spend shaming others on things that would make their lives better, they’d be better people. I’m sad that they have to hide behind computer screens to say ugly things to people that they don’t even know. I’m sad that they feel entitled to opinions about things that don’t concern them. I’m sad that they blame their lack of self-esteem on anyone but themselves and manifest it by saying hurtful things about others. But I’m proud of me. I’m proud that I realize that these people and their opinions really don’t matter. 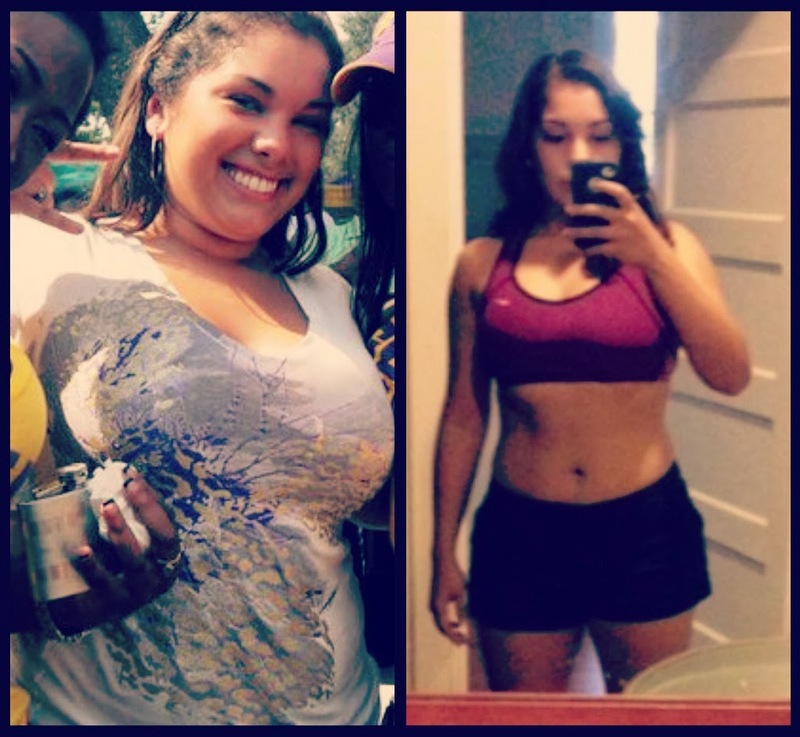 I’m really proud that I’m making my own lifestyle changes and increasing my own self-esteem. I’m super proud that I took a freakin’ photo in a sports bra and posted it online for God and everybody to see. So sorry, not sorry, fitness-shamers. Better luck next time at finding someone who cares.